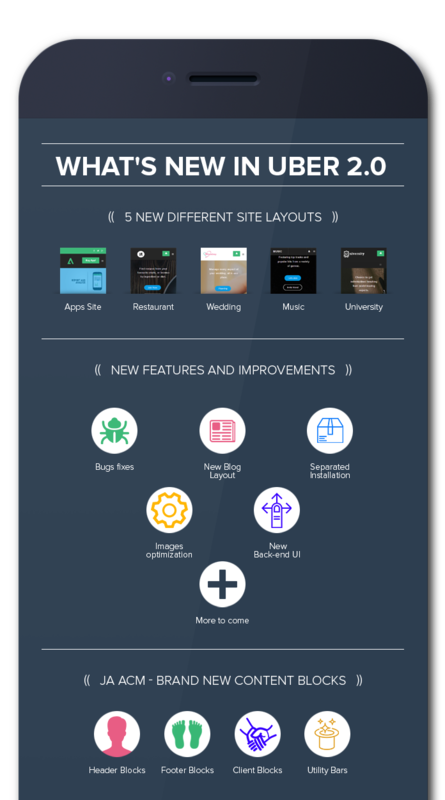 What's new in Joomla template Uber 2.0? Last October, our masterpiece Responsive All in one Joomla template - Uber was born. This is no doubt one of the biggest ambitions of JoomlArt team throughout the years. We have decided to put Uber template development on the highest priority task. And now Uber 2.0 template is released. Uber 2.0 is not only an upgrade of the original Uber, but also an evolution in developing future Joomla templates and framework at JoomlArt. What's new in responsive All in one Joomla template Uber 2.0? This page is built with a mobile application in mind. However the possibilities for building such application pages are unlimited, be it an application landing page, or a SaaS page. Uber got them covered. A delicious place for your favorite chefs, recipes, and restaurants. Perfect fit for wedding organizers, with big headers, testimonials, planning, and photo galleries. World of music with album covers, special playlists, and a special corner for your soul. Separated Installation: Sample data are stored in separate folders, so that you can make changes to different layouts. And it's easy to manage and install the sample site you desire. Images optimization: First generation of Uber is a bit bulky with lot of images. This 2.0 version comes with optimized images, the sizes are reduced to speed up the load time, and reduce bandwidth. New Back-end UI for JA ACM: With the new intuitive and friendly back-end UI, JA ACM module becomes easy to create, manage and update content. 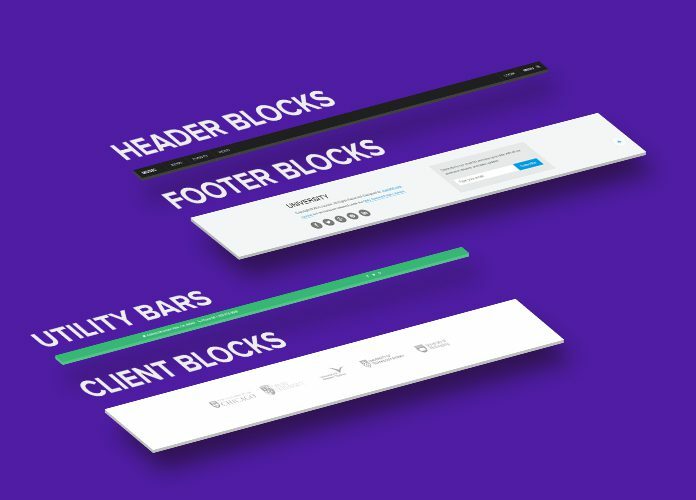 Footer Blocks: Make sure your appearance is consistent, from head to toe. Client Blocks: You have many customers that you are proud of, don't you? It’s time to show the greatness of your products and services with help from the appearance of your customers. That’s it! The new horizon of Joomla template Uber is now open. We welcome your comments and feedback to help bring our best Joomla template of 2014.